Making the move from olympic distance or 70.3 up to Ironman can be daunting as the step is not small – its a giant leap in terms of race duration and endurance capacity, i would almost go so far as to say ironman is a completely different sport to any other triathlon. If you have been considering the jump for a while then now is the time to start taking things seriously as we head into the off season and start looking at building towards 2017. Having a long and structured preparation will ensure you get to the line in the best possible condition to attack the event and get the most out of your body. 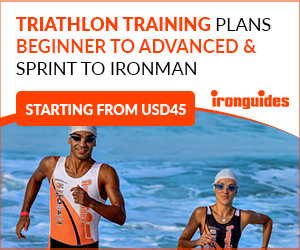 What needs to change in training and how do we approach ironman training? Firstly do not make the common mistake and assume its a long event therefore i need to train more – so many athletes are so excited about entering an ironman that they jump into the ironman training and the only thing they do is as much volume as they possible can. For short distance racing the common training method has been putting in the winter miles to build a solid aerobic base to build speed on once the race season approaches. You will no doubt have heard the phrase “winter miles equals summer smiles” – well this approach is almost the opposite for ironman triathlon. If you approach your training in this method as many do you will end up with winter miles equalling total burnout and no interest in training once you enter your final weeks of training before your ironman event. So many athletes sit down, look at their training options and say well if i trained 12 hours a week for olympic distance then surely i need to be doing at least 20 hours a week for ironman and go out with the simple goal of hitting that number week after week regardless of the any other factors that we really need to be taking into consideration such as training history, work hours, family commitments, environmental considerations and injury history. When looking to make that step to essentially a new sport then its always good to have a look at the pro’s and see what they are doing and what they look like, if we look at the difference between the athletes in the Olympic games recently and compare them to the pro field in Kona then the difference is quite striking – the ironman athletes are bigger and stronger! 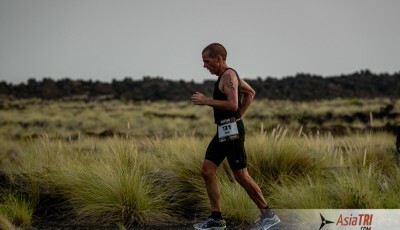 One thing we know about endurance training is that it is catabolic and breaks the body down, leading to a lean and scrawly look as we typically see with the olympic distance triathletes or top endurance runners – this is essential for performance in their discipline but counteractive when it comes to ironman which is a sport that requires a lot more strength. 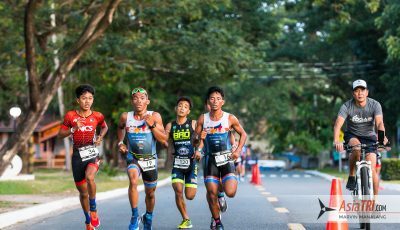 For olympic distance and even 70.3 the event is really short from a endurance perspective and we can get through the events with minimal calories needing to be taken on and suffer little muscle breakdown. On the other hand we need to take on significant calories in order to get through an ironman and we do suffer quite significantly from muscle breakdown during the event. Its no surprise then that the bigger stronger build of athlete in ironman are more successful as they have more reserves to fall back on during the event. If we look at the duration of the event it is going to take between 8-17 hours to complete – no matter how fit you get you are not going to be able to maintain high aerobic intensity for this duration of time and the more you can preserve using upper aerobic capacity the more reserves you will have for the final portion of the race. This is one of the key factors in performance for ironman, we need to learn to use strength on the bike in order to reduce aerobic load and save our aerobic capacity for the run. When riding we can change cadence to manipulate the amount of cardiovascular stress we place on the body, for example a higher cadence in the 80-100 range will see high heart rates and cardiovascular stress, if we move down into the 60-80 range we will see heart rate come down but strength requirements go up. 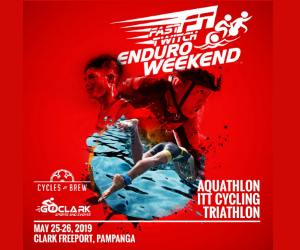 In ironman we are going to stress the cardio system in the swim and the run but we can focus our training to work on strength for the bike so we are resting the aerobic system to a certain extent during this portion of the race and keeping something in reserve for the run. So as you head into the winter and start your training for ironman, training volume and improving cardiovascular fitness is not the key priority as it would be for olympic distance training, the focus now should change to developing strength in order to maximise your gains over the longer distance. So how do we go about maximising strength on the bike? There are 2 main area’s we need to look at when strength development is the key on the bike, that is the ability to ride with more power at a lower cadence and the ability to hold the body still on the bike and not loose that power through rocking and rolling on the bike. Have a look at the best riders in ironman, there are plenty of youtube video’s out there – these athletes tend to have big strong upper bodies and the upper body does not move when they are riding, compare this to the olympic athletes who are much skinnier in their upper bodies and tend to rock and roll a lot more on the bike when the course demands they push big power such as during a hill climb. Hills are a great training tool for developing this power, adding hill reps into your program are going to be essential as you move to ironman training. The hill reps though are now totally different to how you may have done them in the past, the idea is not to get up the hill as fast as possible, the idea is to ride with a big gear and make sure your upper body stays rock solid on the bike – the end result should be your going up the hill as slow as possible using the most amount of muscle possible – this is almost like a gym session on the bike and you will find you have very wobble legs when finishing this session. If you do not have access to a hill then you can simulate this sort of session on a indoor trainer or spin bike at the gym. This session will not feel anything like training you have done before on the bike, most athletes will question if they are really going hard enough as you will not be suffering cardiovascular stress during this session and that is all we have typically associated with hard sessions in the past. This session will effect your body in different ways and you will notice tight and tired muscles later in the day or one day later, doing this type of work means you will have to really focus recovery on rolling and maintaining muscle mobility in quads and glutes as they are hit hard by this style of riding. The other strength area we need to work on in order to develop the ability to push hard on the bike without rocking and rolling is developing a strong core and some upper body muscle. This type of strength is added in the gym and can give a nice refreshing change from your conventional endurance training. 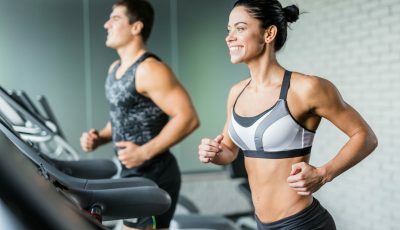 You do not need to be doing anything complicated in the gym but make sure you seek guidance from a professional to get you started and ensure your performing exercises with good technique. Always look to use free weights over machine weights for your training and the exercises you should be focussing on for your needs as a cyclist are for strength the deadlift, squats, bench press movements and for core development, planks, roll outs, kettlebell swings. So as we enter the off season and changing your training focus to move to ironman competitions you can see that training volume does not really need to change, the big change is the focus of your training within your available training time. Develop your strength over the winter and you will not only feel refreshed and strong going into your first ironman season you will perform way above your expectations come race day.